DISCONTINUED. 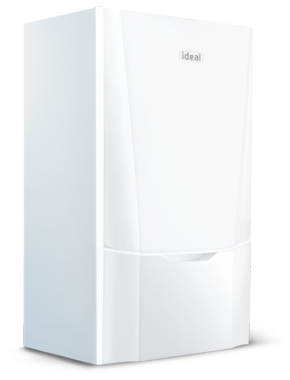 The Vogue 32kW is a condensing, wall mounted gas boiler wall mounted manufactured by Ideal. It is a system boiler which means it directly heats your central heating system and hot water for a storage cylinder. Most of the important parts of the hot water and heating system, such as the pump and expansion vessel, are built in on a system boiler making it quicker and cleaner to install. This also means you get a faster response to demand for heating and hot water and you don't need to have a feed and expansion tank in the loft. This is a highly reliable unit including a wide range of benefits including a 93% efficiency rating making it an A rated boiler. It has an output rating of 32kW making this boiler ideal for a medium sized property that does not have a high hot water or heating demand. Key features include: cool door technology, modulating pump, up to 7:1 modulation, large 10 litre expansion vessel, comprehensive standard components, longer maximum flue lengths with easy access stamping points, PRV outlet pipe standard, stylish chassis with full size door complete with damped opening and a stainless steel heat exchanger. In addition, this unit comes with a large back lit LCD with plain text this making the boiler easy to use. The boiler includes a 10 year warranty on parts and labour so you can be sure you have purchased a boiler that isn't going to let you down.